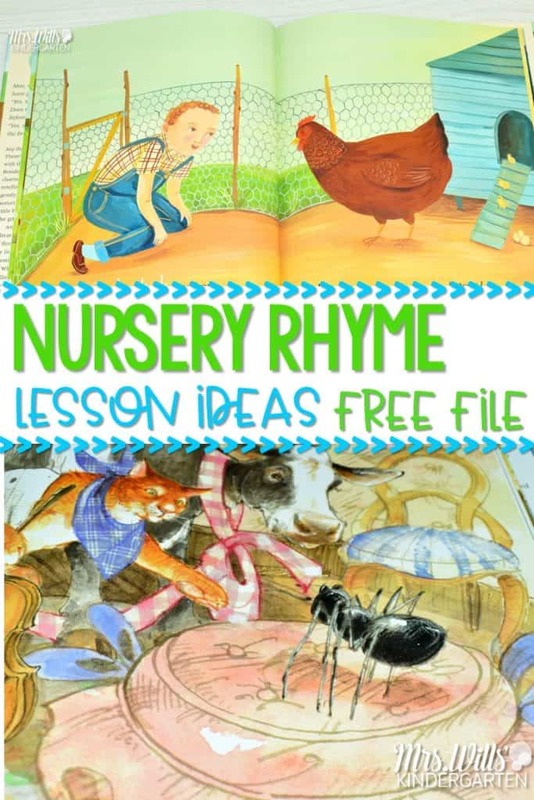 Nursery Rhyme Lesson Plans for Kindergarten plus a free file! 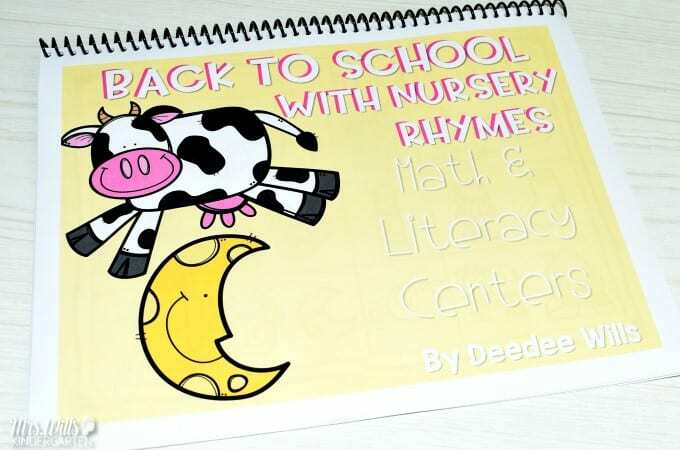 Teaching nursery rhymes is a great way to start your kindergarten year! 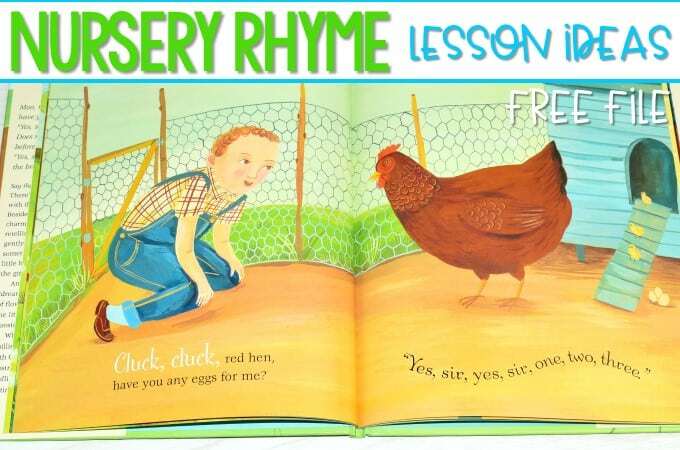 For some students, this might be there first introduction into nursery rhymes. 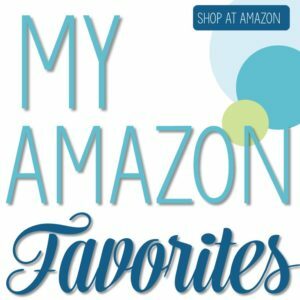 *affiliate links are included in this post, but the opinions are my own. 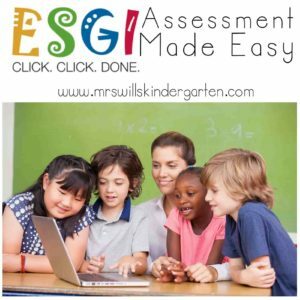 It helps students develop an ear for language. 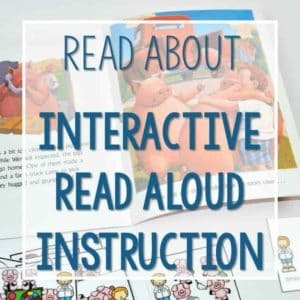 It helps with oral language… at it is fun! 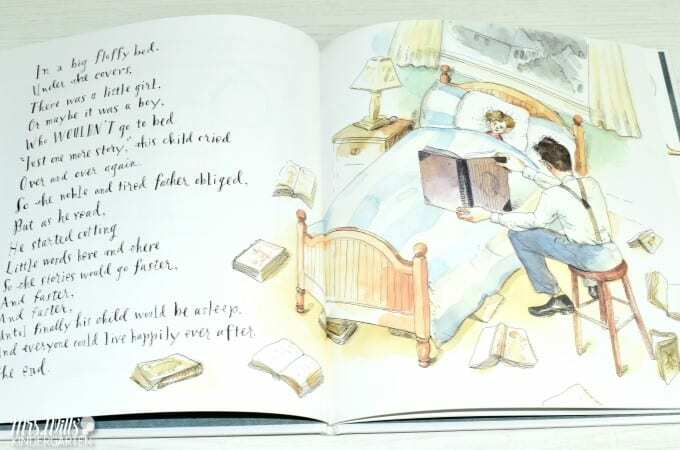 Poetry is the first genre that most children hear. 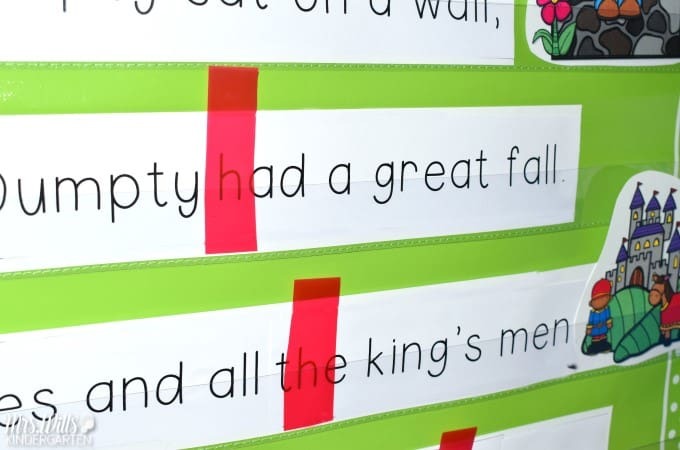 Poetry isn’t just whimsical but contributes to increasing reading abilities. 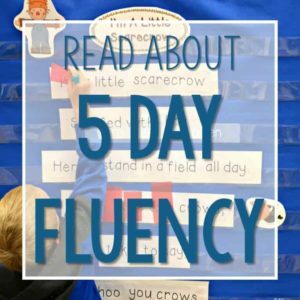 Lower primary teachers use nursery rhymes to develop phonemic awareness and one-to-one correspondence, and poetry helps children of all ages develop vocabulary. 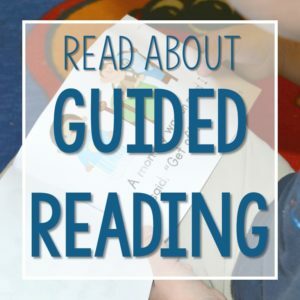 Reading poetry aloud over and over creates fluency with expression. Manning, M. (2003). A poetic awakening. 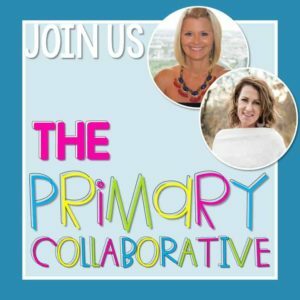 Teaching PreK-8, 33(5), 85-87. 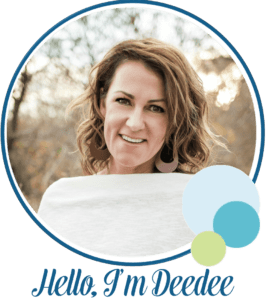 I have rounded up some fun ones! 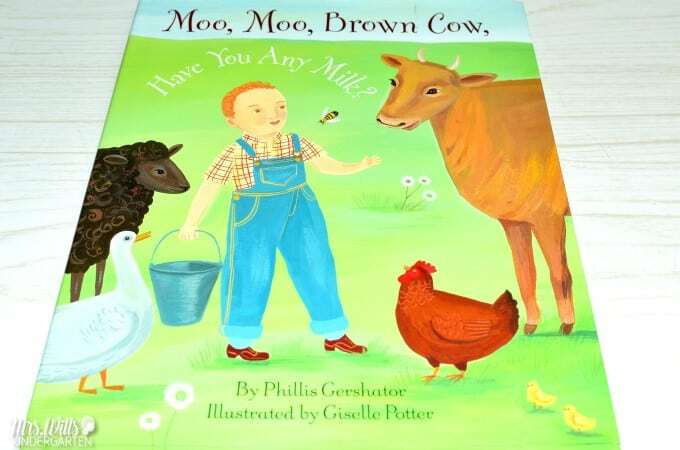 This first one is Moo, Moo, Brown Cow by Phillis Gershator. 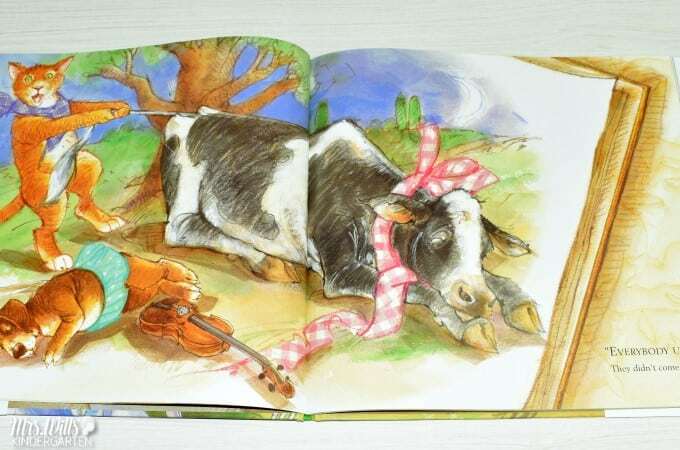 This nursery rhyme book appears to be out of print, but you can still get some great deals on used books. Then the following page shows how we use those items. This book is laugh-out-loud funny! 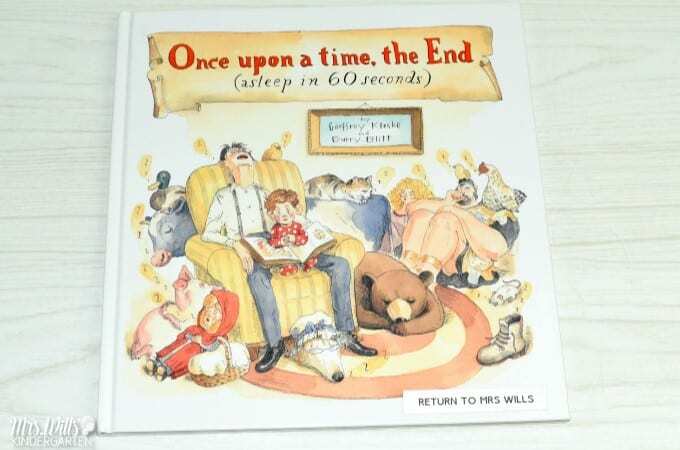 Once upon a time, the End by Geoffrey Kloske is a bedtime story. That never seems to end. The boy wants his father to read ONE. MORE. STORY! So the father shortens the stories in hilarious ways. 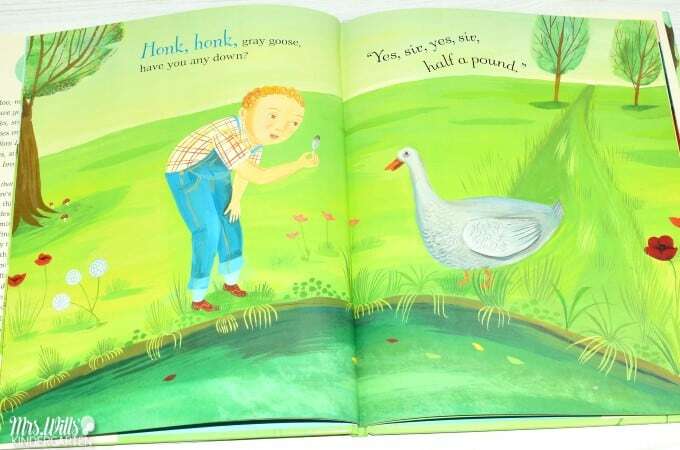 There are familiar stories and nursery rhymes in this book. The Old Lady’s Shoe is everything! Ha! 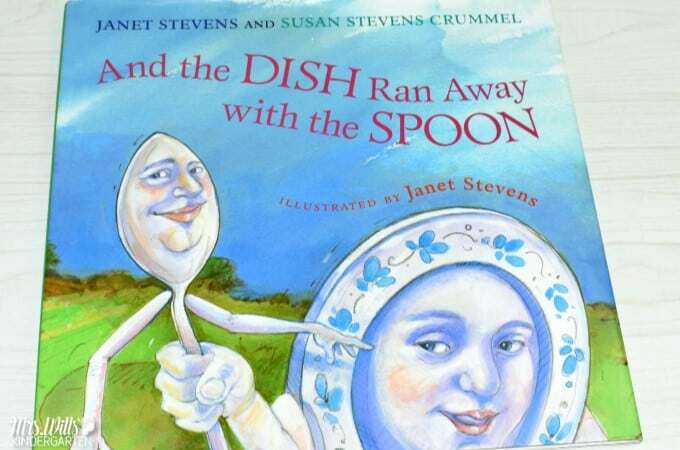 And the DISH Ran Away with the SPOON, by Janet Stevens is a gem! After the dish and spoon take off, the cat, dog, and cow get worried and try to find them. 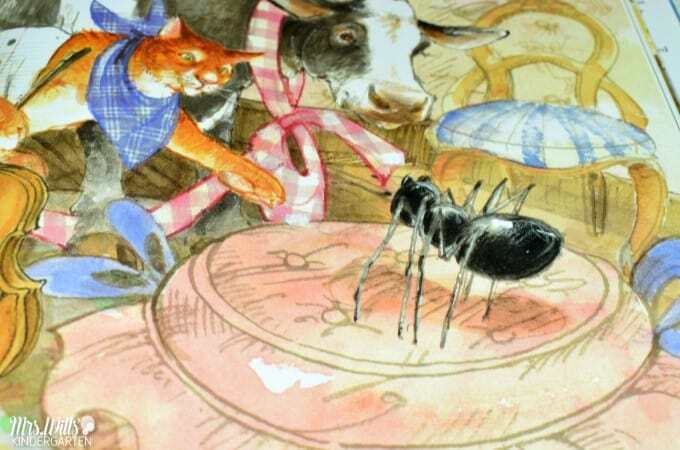 Throughout the book, they encounter other nursery rhyme characters, such as the spider from Little Miss Muffet. 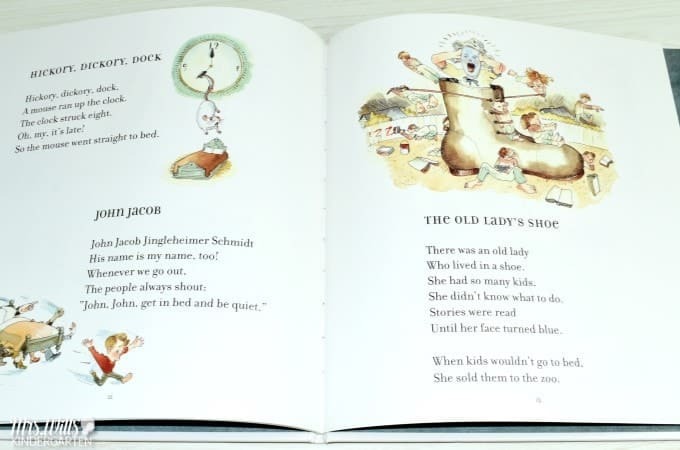 The Completed Hickory Dickory Dock by Jim Aylesworth This book is a continuation of the familiar nursery rhyme, but with other animals. 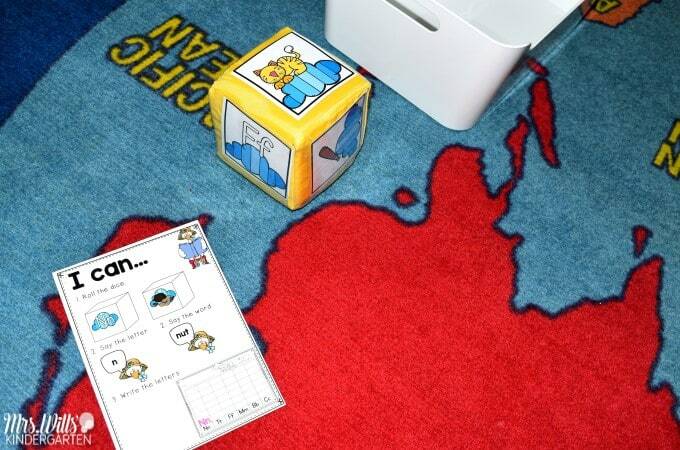 It is a fun way to work on phonemic awareness. 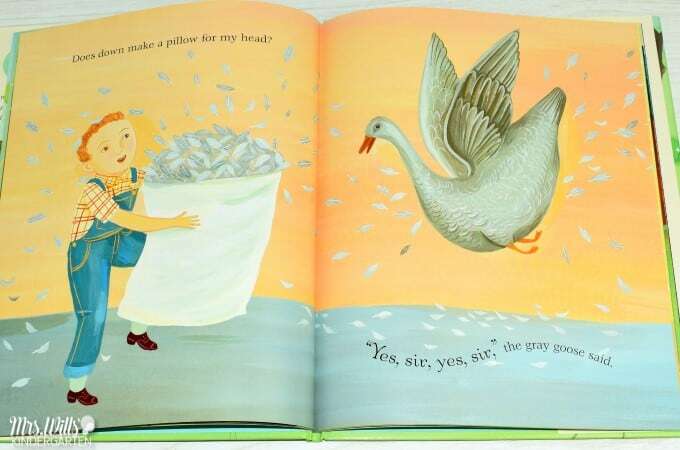 Nursery rhymes are perfect for shared reading. 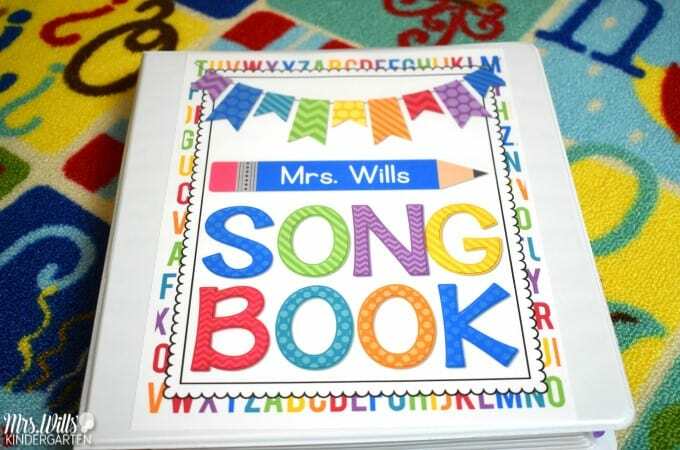 Students can read or sing along! 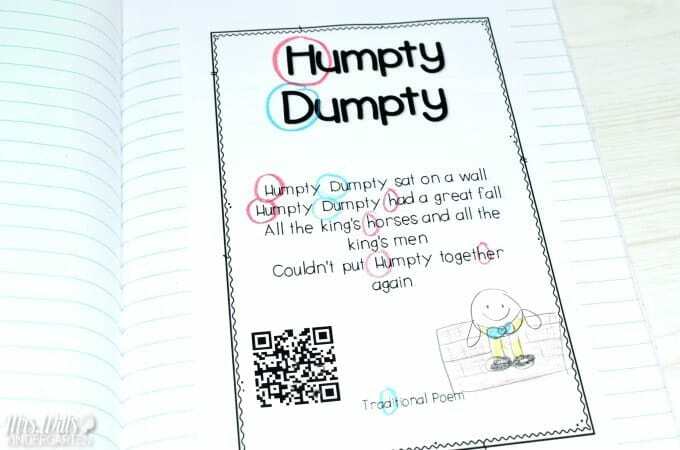 In this poem, students were looking for the letter “Hh”. 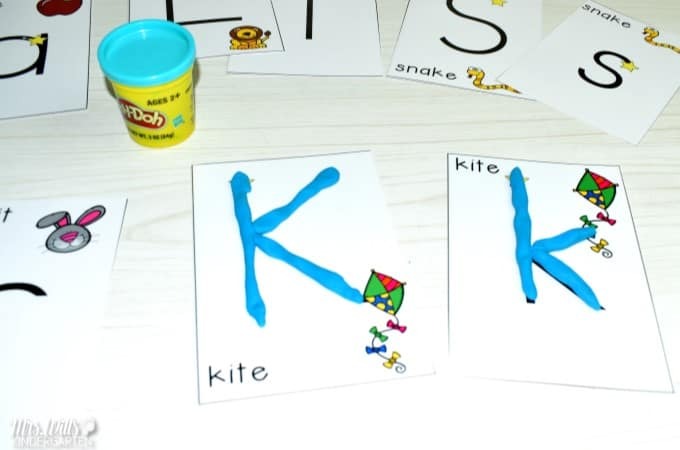 Then we just used a cut-up transparent poly-plastic folder to highlight those letters (way easier to manage than highlighting tape.) 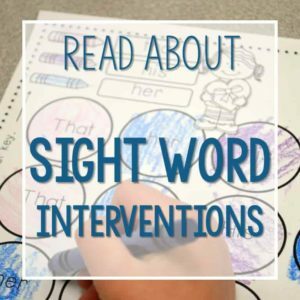 On another day, you might look for sight words (or words that you know). 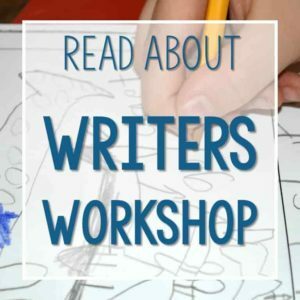 You could also look for the rhyming words, capital letters, spaces between the words, or punctuation. 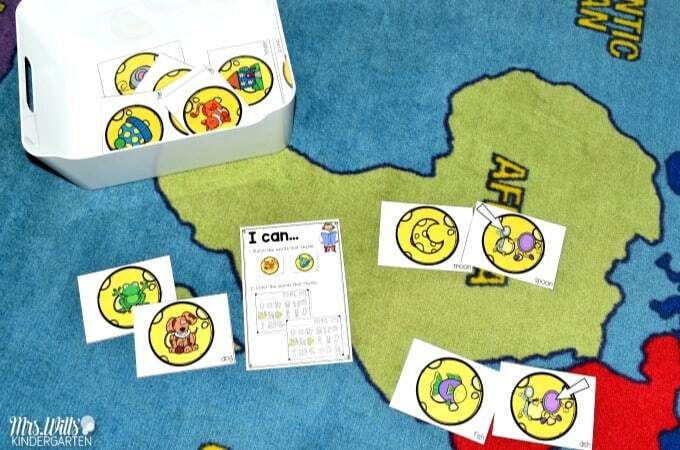 Think about all of those fantastic concepts about print you can work into this FUN activity. 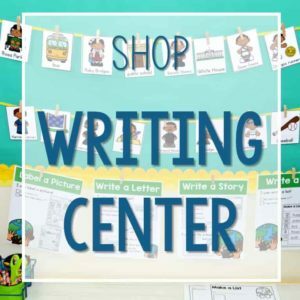 While your student helper is placing the highlighting card in the pocket chart, you will want your other students doing the same in their poetry notebooks. 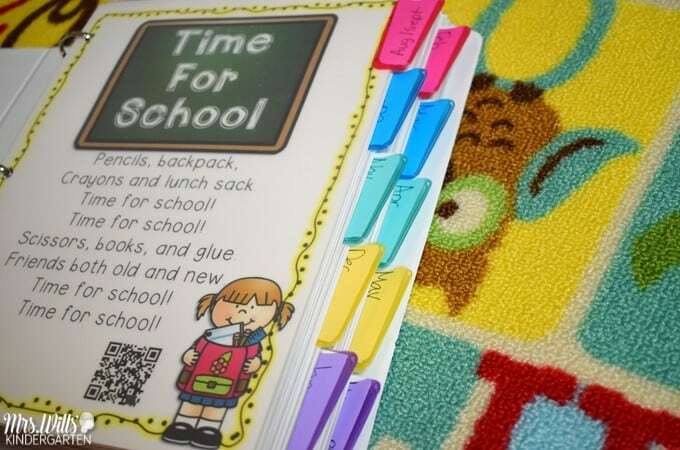 Note the QR code on the notebook. 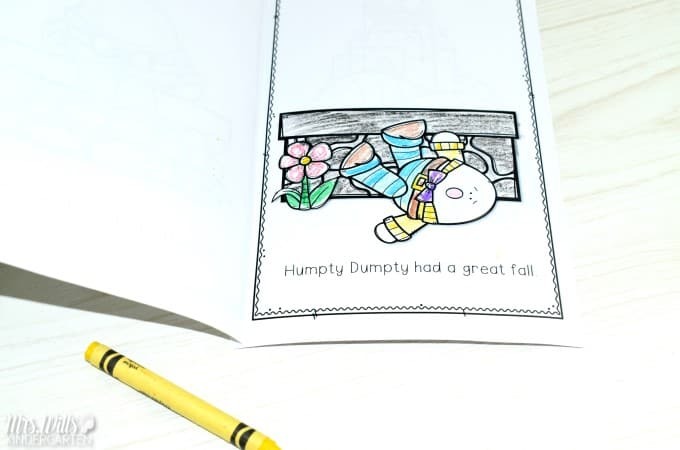 This version of the poetry notebook is from my Nursery Rhymes Poetry Music and Video File. 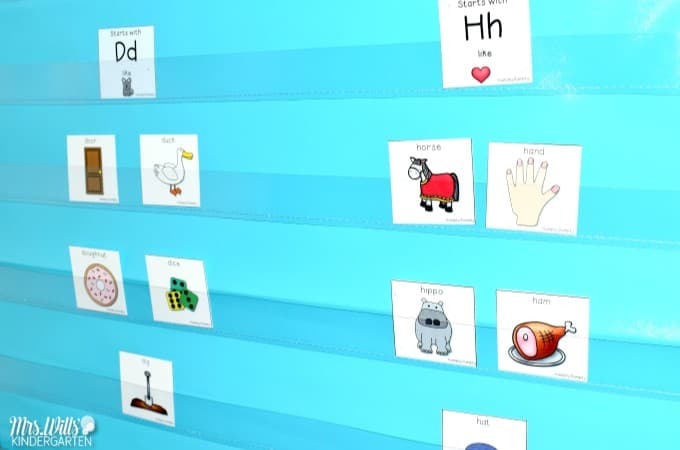 Then students can listen to the video and sing along at home or in a choice center. 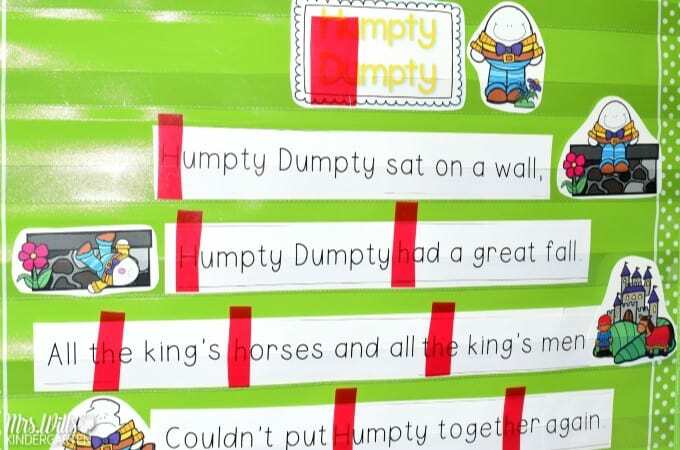 Students also have an emergent reader to go with the nursery rhyme. 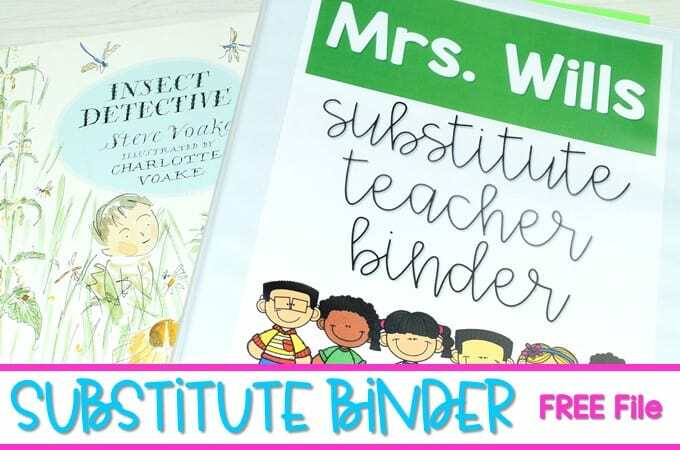 One of the very first thing I made for my classroom were these Read, Trace, Glue, and Draw files. 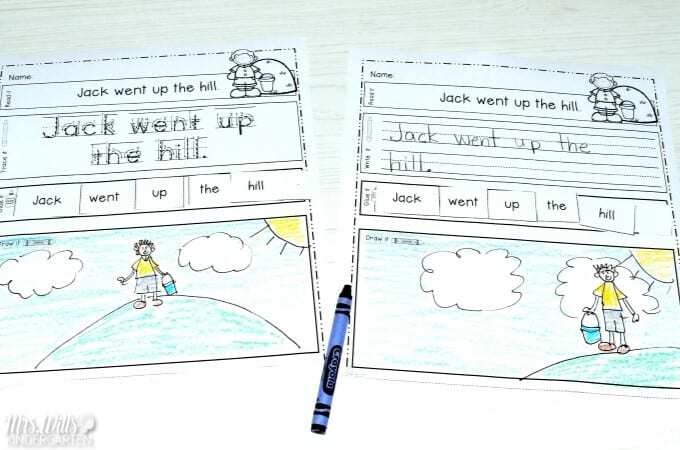 At the beginning of the year, students trace the letters (like the version on the left. 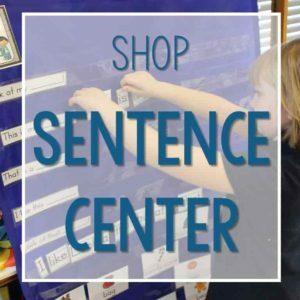 But as quickly as possible, I have students write the sentence. I want them thinking about the path of motion vs. running their pencil on the lines of the tracing page. Does that make sense? 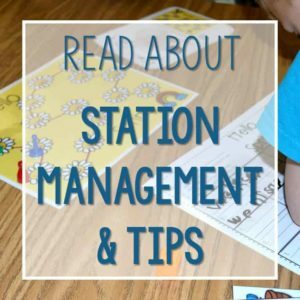 I mentioned the music files above, but they make a GREAT listening center activity. 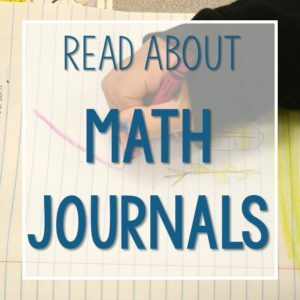 I have made a binder for all of the poems and songs. 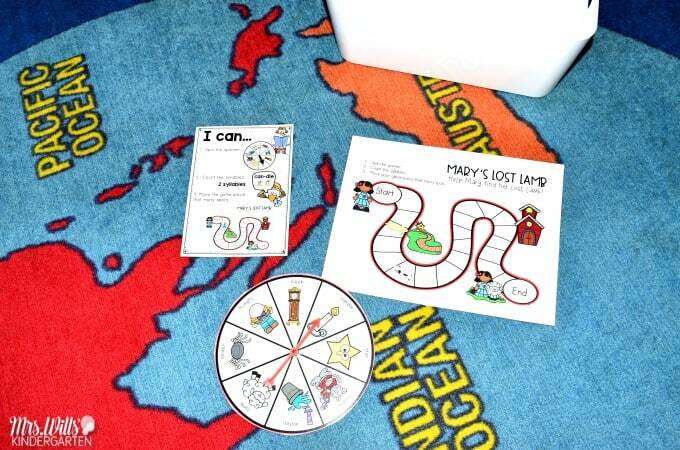 I also have some nursery rhyme themed math and literacy center activities. 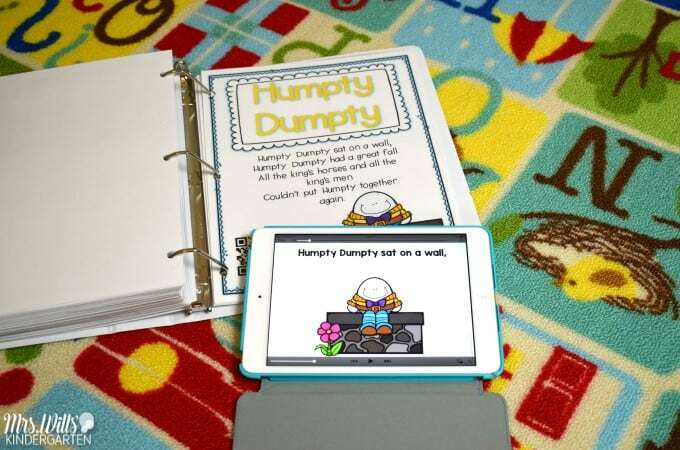 This is a little nursery rhyme emergent reader. Students listen for the syllables and more their game piece accordingly. Students listen for the word that rhyme. 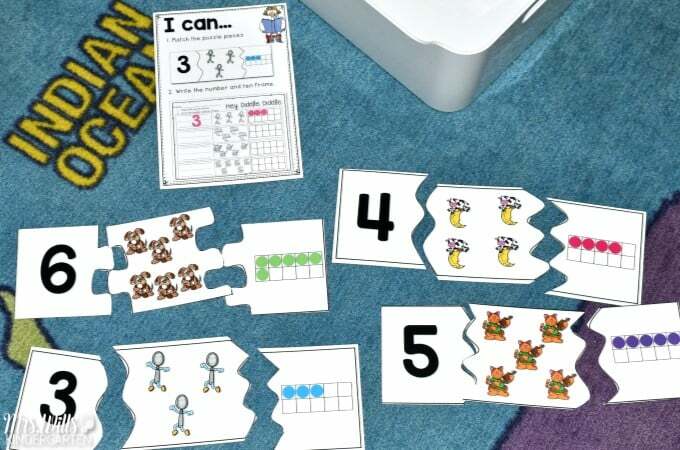 Students match the upper and lowercase letters in these puzzles. I usually put 10 letters out at a time at the beginning of the year. 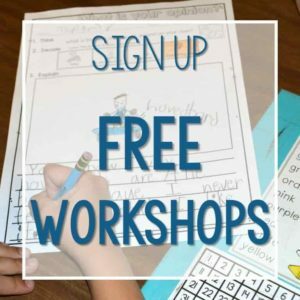 Students then write the letters on their response sheet. AH… dough! 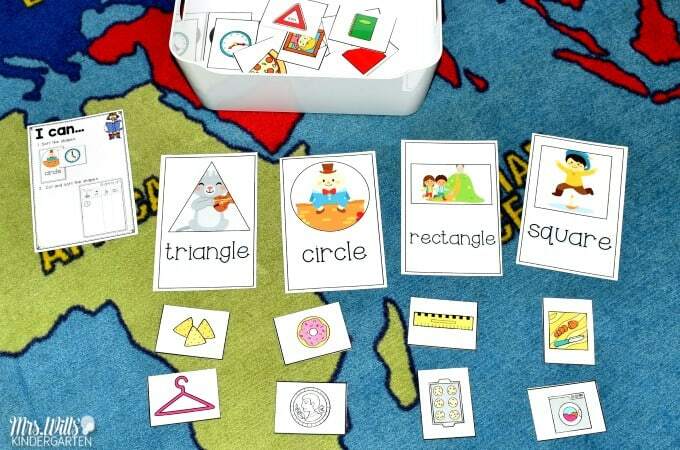 Student match the upper and lowercase letters and then form them with dough. 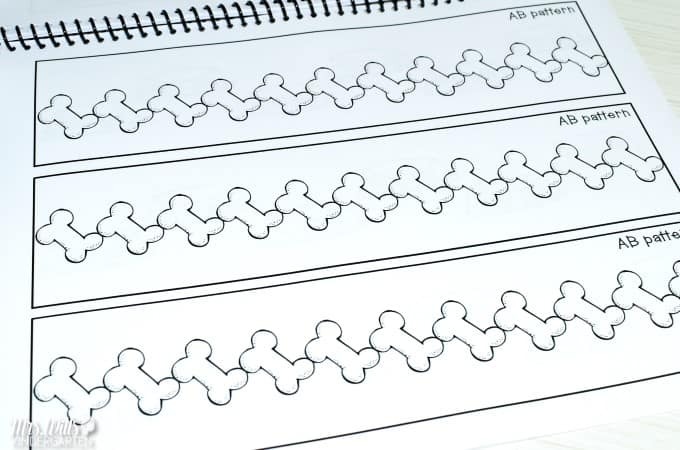 This is a roll and trace game. 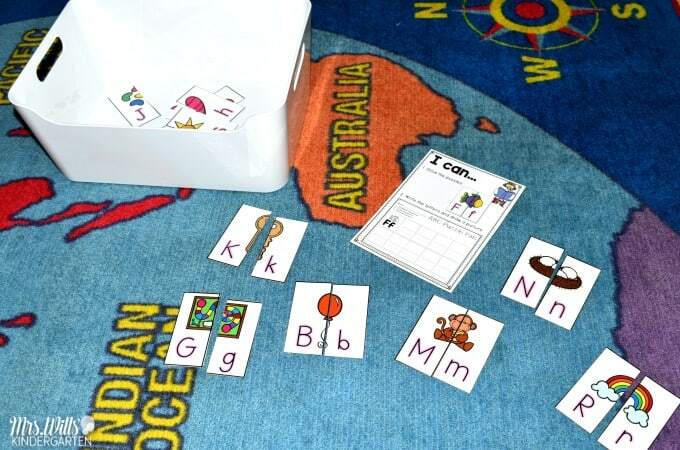 Students can roll and trace by the letter they roll… or the beginning sounds. 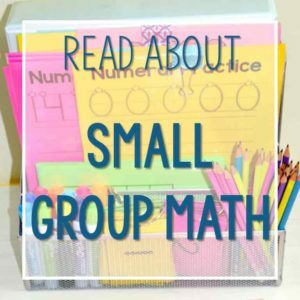 Students count and then form the number with dough. Students also complete the ten frame. 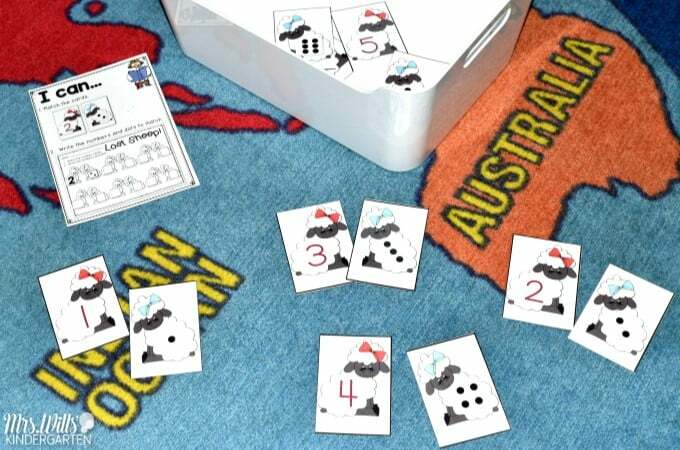 Student match the numbers with the subitizing dice. 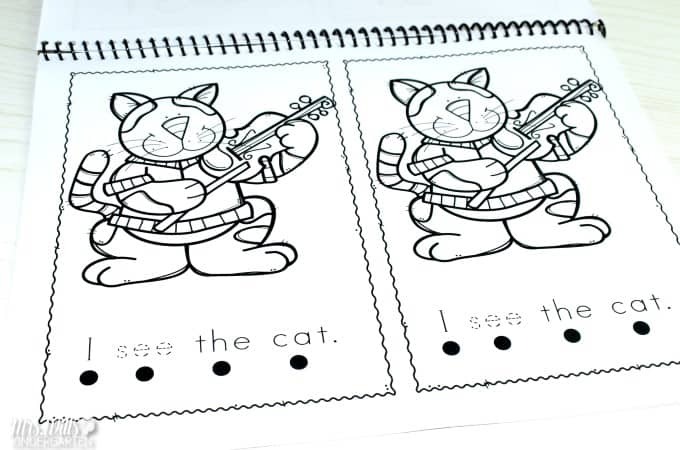 Students work on patters with the Old Mother Hubbard pattern book. 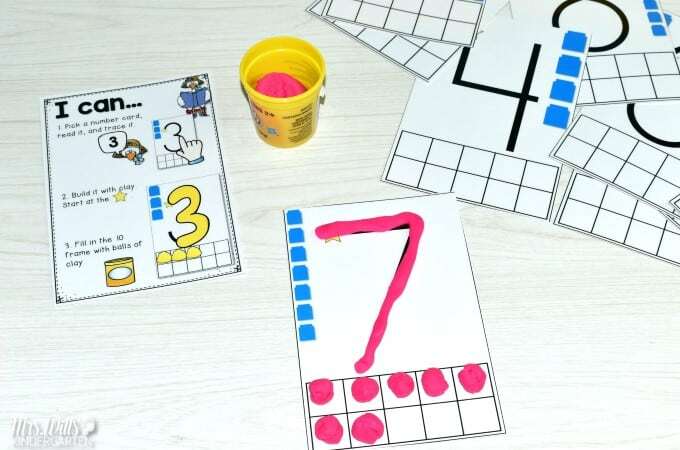 Students complete the number puzzles. 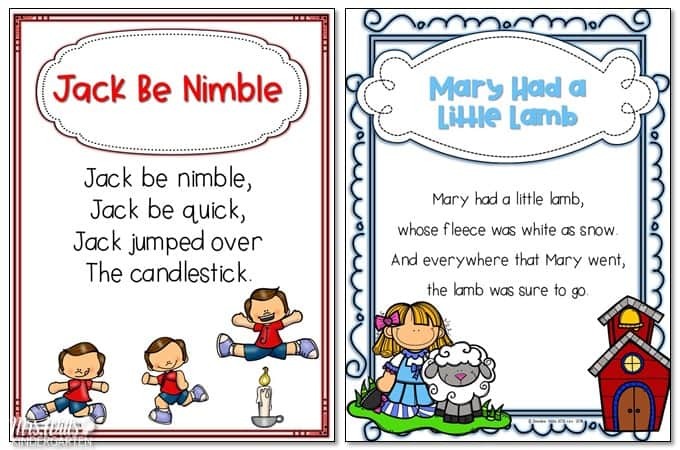 I sure hope I gave you a few ideas for teaching nursery rhymes in kindergarten! I recently update this free file. You can download your own copy by entering your name in the box below. 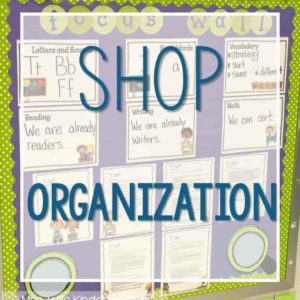 Previous Post: « Classroom Resources for May… Are your lessons ready?